It’s been a while since I’ve made a Fuchico photo. Here’s the classic フチ子. For those of you who don’t know, Fuchico or “Fuchico on the cup” is a series of small plastic toys of an office worker named Fuchico who sits on the rims of cups. The one in the photo is the original, but since then, there have been so many different poses, outfits, and spinoffs. 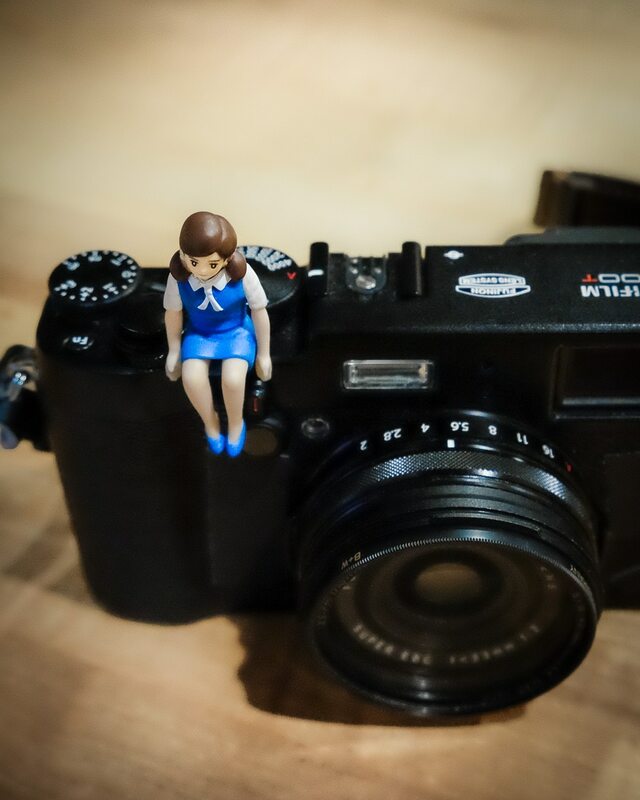 It’s cool because these little figurines make the photos a lot of fun! Here’s another one of my favorites that I took. Recently, my wife showed me this video of SMAP member Tsuyoshi Kusanagi trying to recreate some of the Fuchico poses. It’s so funny. Enjoy! Very funny. Thanks for posting. Surprisingly fit guy!